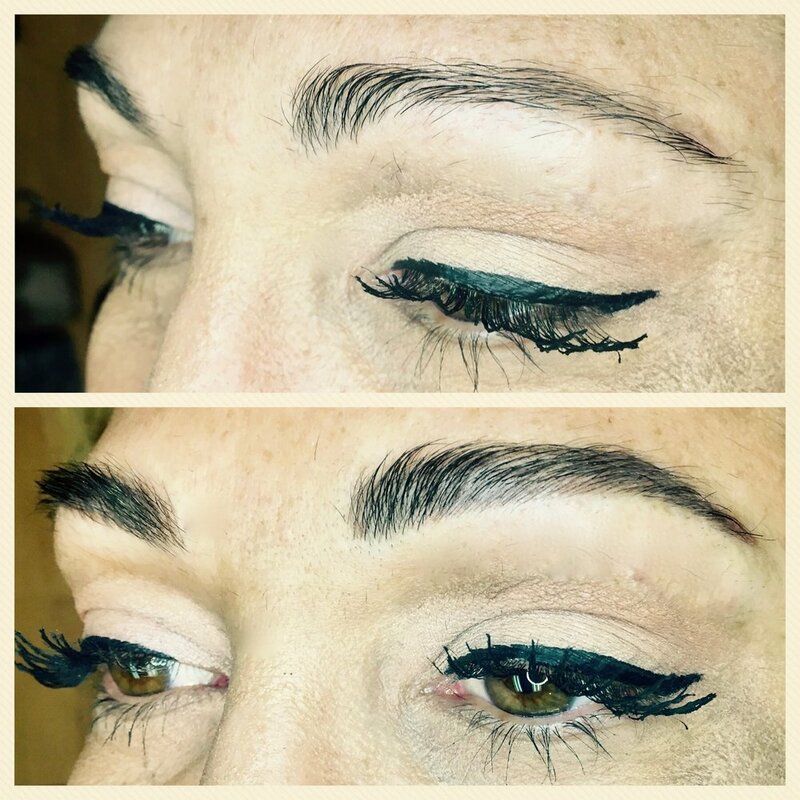 3-D Brows (also called "Microblading") is a semi-permanent tattoo procedure that offers fuller, natural looking brows. A specialized microblade is used to gently place hair-like strokes into the skin in the brow area resulting in waterproof, long-lasting, gorgeous-looking brows! Color and shape are agreed upon during the initial consultation. Color is mixed and matched to the client's skin tones, hair tones, and personal preference. Hair strokes are then created using a tiny, sterile needle tool and pigment dyes. The initial appointment takes roughly 2 hours. This includes the consultation, brow mapping, color consultation, numbing process, and tattooing. Follow-up/Touch-Up appointments take about 1 to 1.5 hours. "How long will my brows last?" Once you have completed both the initial and touch-up appointments, your 3-D brows should last from 18 months up to two years. Results vary depending on skincare, care of your brows, sun exposure, and skin type.